Creating a server delivers many benefits 5 Reasons Why You Should Make Your Own Server 5 Reasons Why You Should Make Your Own Server Cloud computing is all the rage, but there are some practical reasons to host your own server in this day and age. Read More . There’s increased data control, lack of surprises, and fun options like game and media servers. A general file server differs from a media server or a game server Everything You Need to Build a Game Server on Linux Everything You Need to Build a Game Server on Linux Since its inception, gaming has almost always been more fun with multiple players, a practice that has moved online. To host an online tournament, you'll need to setup your own game server, using Linux. Read More . When setting up a media server, there’s an onus on navigation and a polished user interface (UI). For Linux, media server software options abound. 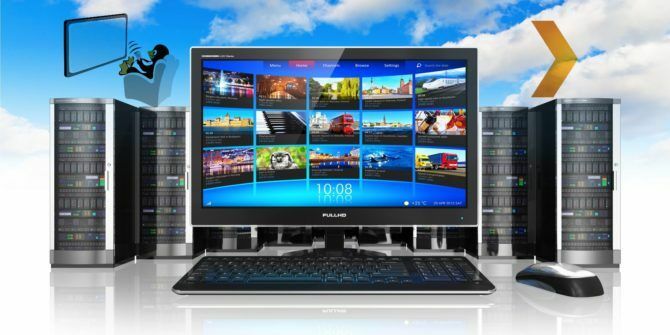 Check out these seven media server applications for Linux offerings. Plex has been heralded as a do-it-yourself Netflix. It’s a simple media server program that sports an excellent UI. Plex features installers for Linux, FreeBSD, and even an official Docker container which pairs well with Container Linux by CoreOS What Is Container Linux and Should You Use It? What Is Container Linux and Should You Use It? Containers are increasingly popular. Container Linux, formerly known as CoreOS, is a Linux operating system designed for simple containerized deployments. This overview and hands-on look at Container Linux will tell you more. Read More . 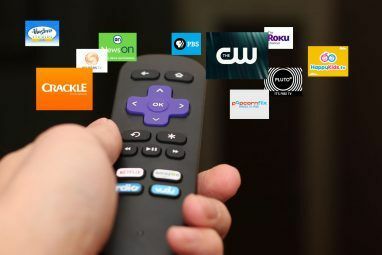 For client devices The Best Plex Clients for Streaming Media The Best Plex Clients for Streaming Media What are the best Plex clients for streaming all the latest media? We've rounded up some of the best media-streaming devices around, including the Amazon Fire Stick, Playstation 4, Raspberry Pi, and more! 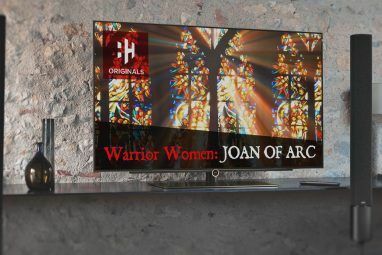 Read More , Plex supports an array of hardware including Windows 10, macOS, Android, iOS, Amazon Fire TV, and Roku. Kodi users benefit from a Plex for Kodi addon. Linking the Plex media server for Linux software to respective movie, TV, and music folders makes your media accessible via client apps. While Windows features the Plex Media Server and Plex Media Player software installs, for Linux there’s just the server software. But while Linux lacks the media player aspect, you may still watch video and listen to music on Linux using your Plex Media Server software on Linux. This merely launches the web player on your Linux machine. As you’re setting up a server however, local playback on your Linux media server might not be a priority unless you’re using a home theatre PC (HTPC) media center combo. As Linux media server software, Plex is pretty intuitive and features loads of official and unofficial channels. It’s an excellent means of hosting movies, music, and television that’s then available on your various devices. The Linux installation is incredibly simple. 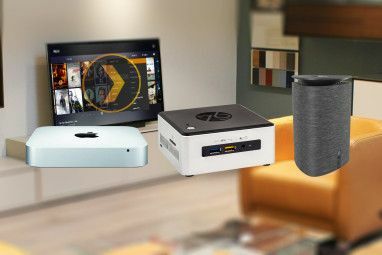 If you need a server, these NAS, DIY, and prebuilt options are excellent for Plex The Best Prebuilt, DIY, and NAS Solutions for a Plex Server The Best Prebuilt, DIY, and NAS Solutions for a Plex Server Looking for the best Plex server? Here are some of the best budget, prebuilt, and DIY ways to run a Plex server! Read More . Best for: Media server novices and pros alike. It’s truly one of the best media server apps available, and one of the top media streaming tools for Linux Top 5 Media Streaming Tools for Linux Top 5 Media Streaming Tools for Linux How do you stream movies, music and TV on your Linux PC? We take a look at the top options that you need to consider for the best media streaming experience on Linux. Read More . Check out this comprehensive guide to Plex Your Guide To Plex - The Awesome Media Center Your Guide To Plex - The Awesome Media Center If you have a lot of locally-saved movies and TV shows, you need to install Plex. And this is the only guide to getting started with Plex you'll ever need to read. Read More . Emby is similar to Plex in its functionality. Whereas the Plex install and configuration remains beginner-friendly, Emby is a bit more complex. Mostly this derives from Emby’s immense customization. Because it features tons of options for database and metadata management, Emby is tailored for power users. Website htpcBeginner breaks down the differences in Plex and Emby in their comparison. What Emby lacks in client compatibility and ease of use it compensates for with its range of skins and metadata options. Although Emby isn’t quite as established as Plex, it’s certainly a phenomenal media server software option for Linux. Emby hosts dedicated installers for Debian, CentOS, Dedora, OpenSUSE, Arch Linux, Docker, and Ubuntu. Additionally, it’s available as a manual download for a smattering of Linux operating systems. Notably, Windows users may appreciate Emby as a replacement for Windows Media Center 5 Alternatives to Windows Media Center for Windows 10 5 Alternatives to Windows Media Center for Windows 10 Windows 10 will offer many new features, but some old favorites will be deprecated. The Windows Media Center will no longer be supported. Here are alternative media center application compatible with Windows 10 to take... Read More . Best for: Power users seeking customization options. Subsonic uses the tagline “easy listening.” It’s a music-oriented server software but retains compatibility with videos as well. Highlights include a bevy of music features like a podcast receiver, Sonos integration, a jukebox mode, and downsampling as well as conversion on the fly. You’ll also find support for lyrics, album artwork, and tags. For Linux, Subsonic is available for Ubuntu, Debian, Fedora, and Red Hat. You can find client apps for Android, iOS, BlackBerry, Windows, Roku, Sonos, macOS, and a web app as well. The UI isn’t great for video, but performance is superb. Using Subsonic, you can even build a WiFi PC radio How To Build A WiFi PC Radio With Subsonic [Cross-Platform] How To Build A WiFi PC Radio With Subsonic [Cross-Platform] Downloading or streaming music is definitely an activity that I love to do when I'm relaxing or just trying to pass the time. The problem I have is that when I download music to a... Read More . Best for: Music aficionados. While Subsonic is great for video and music, its transcoding, Sonos support, and jukebox aspects posit Subsonic as superb for music junkies. Madsonic is a fork of Subsonic. Similarly, it’s a music streamer with support for video. Not only does Madsonic function extremely well as a streaming Linux media server, but it’s a solid entry as a local media jukebox. Features like bitrate limiters and resampling make Madsonic an awesome audio-centric media server. Like Subsonic, Madsonic boasts Sonos support, metadata aggregation through Musicbrainz, Last.fm, Echonest, and IMDB, and high scalability. You can manage over 100,000 files with ease. Although Madsonic is fairly intuitive, there’s a REST API for app, script, and addon creation. Plus, there’s LDAP for customized access. You can see a breakdown of differences in Madsonic and Subsonic. Overall, Madsonic lends a more feature-laden experience, but many of these are premium or paid features. Gerbera is a media server software option that’s build on MediaTomb. It’s a UPnP media server for home network streaming. Unlike server options such as Plex, Emby, Madsonic, and Subsonic, Gerbera is limited to in-home streaming. Still, it’s a solid entry for a Linux media server. Gerbera supports media transcoding on the fly, and may transmit to clients such as Android and iOS devices as well as Sony PlayStations. Loads of devices are UPnP compatible, such as game consoles and devices running XBMC. However Gebera is not a substitute for a remote Linux media server. If you need your media on the go, opt for a different option. Nevertheless, Gerbera is a lightweight, intuitive UPnP media server software option for Linux. Best for: In-home streaming using UPnP. OpenFlixr is a little different than most of the Linux media server software solutions. Instead of another media server software, this is an all-in-one media server that focuses on automation. There’s Plex Media Server included, as well as torrent and Usenet automation programs such as CouchPotato, Headphones, and SickRage included. This eschews the typical individual install. OpenFlixr therefore presents a comprehensive media server landscape. It’s an installer and updater which includes smart auto-updates to ensure your installed software stays up to date. Just as OpenFlixr differs in its purpose, so too does its installation. OpenFlixr is a virtual appliance so you’ll need an application like VirtualBox or VMWare Fusion. But you can run OpenFlixr as a virtual appliance on Linux, and it’s an excellent way to cobble together an out-of-the-box media server. Best for: Media server power users. OpenFlixr requires more advanced knowledge of virtual machines. Also media server users that value automation. TVMOBiLi is another superb media server software application for Linux. Although it’s high performing, TVMOBiLi remains intuitive to set up and run. It’s as simple as specifying your media folders. Like Emby and Plex, TvMOBiLi does allow remote access. Linux installers are available for Redhat, Debian, BSD, Synology, and QNAP devices. There’s also an Arch Linux Raspberry Pi installer. Among its plentiful features, TVMIBiLi offers iTunes integration and stellar support. It’s cross-platform, lightweight, and simple to set up. However, TvMOBiLi is paid. Although there are free services, like Emby, Plex, and Madsonic, TVMOBiLi does offer great support and notably iTunes integration. This feature auto-populates TVMOBiLi with the database contents from your iTunes library. Best for: Apple users who want iTunes integrated into their media server, and media server beginners seeking premium support. There are loads of media server software options for Linux. VLC isn’t quite a media server program, but it’s possible to configure VLC for in-home streaming How to Create a Linux VLC Streaming Media Server for Your Home How to Create a Linux VLC Streaming Media Server for Your Home Enjoying music or movies via Netflix or YouTube is great, but what about when the Internet is down? With a VLC media server, you'll never have to go without entertainment again! Read More . Which option you select depends on what you seek in a media server. While Subsonic is superb for music, the UI for videos is lacking when compared to Emby or Plex. Similarly, Plex does handle music but Madsonic or Subsonic are music-first players. You may consider a hybrid server that uses Plex or Emby for videos, and Subsonic or Madsonic for music. If you’re setting up your server, these Linux server operating systems 12 Best Linux Server Operating Systems and Who Should Use Them 12 Best Linux Server Operating Systems and Who Should Use Them Building a server? Linux is ideal, typically offering enhanced permissions, increased flexibility, and stability. But which one should you choose? Check out the 12 best Linux server operating systems and who should use them. Read More , including Ubuntu Server and openSUSE, are excellent choices. What media server software for Linux do you recommend? what about Open Media Vault? Thanks for mentioning OpenFLIXR! 2.0 is around the corner, even more stuff to play with ? Plex is my favorite. It is not perfect, but its darned close. Thumbs up! Been using plex exclusively for the past few years. I'm currently sitting on a 15 terabyte collection on my plex server. It's the best there is. Hands down.